Hemophiliac Arthritis. 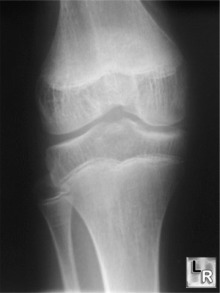 There are changes of osteoarthritis of both knees in a 37 year-old. The age of the patient should raise the diagnosis of secondary osteoarthritis. The patient was known to have hemophilia. 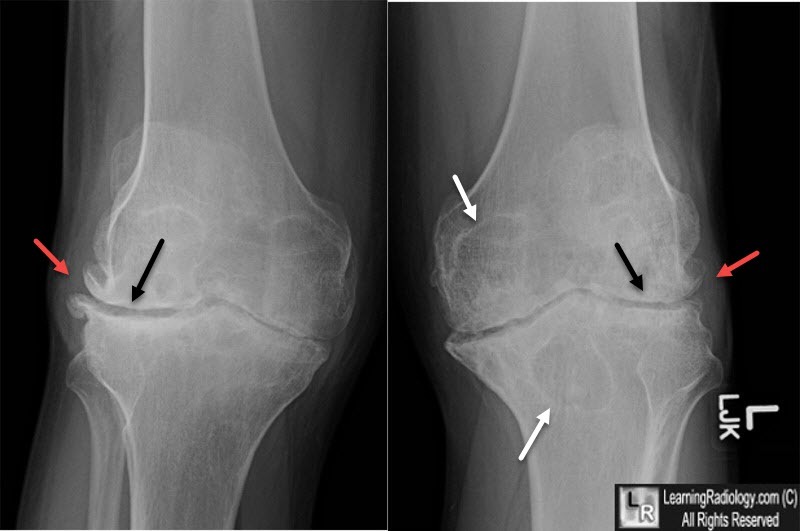 There are marginal osteophytes (red arrows), narrowing of the joint spaces with subchondral sclerosis (black arrows) and large subchondral cysts (white arrows).